A rare opportunity to buy an attractive modern 4 bedroom detached family home in a sought after area with views overlooking Cleethorpes country park and close to local amenities. The home is meticulously maintained and has a light bright and airy feel throughout the house. 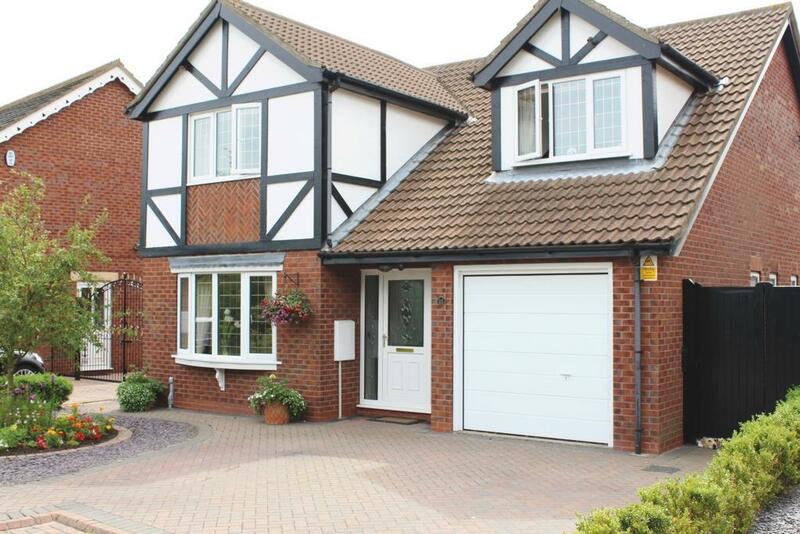 The property benefits from full gas central heating , uPVC double glazing windows throughout and comprises entrance hallway with cloakroom wc, lounge, dining room, kitchen and conservatory, integral garage. On the first floor there are 4 good size bedrooms with fitted wardrobes, a family bathroom and ensuite bathroom off the master bedroom. Block paved driveway with space for 2 cars with a small garden area. There is side gate with paved access to the rear garden.